Slot Canyons Inn is a bed and breakfast near Bryce unlike any other. There is no other place to stay that offers so many incredible choices. Not only are there a variety of rooms to choose from, there are even separate lodges. Each room is different than the next, down to the decorations and furniture. When choosing to book a place to stay at Slot Canyons Inn, you are giving yourself the luxury of choice. If you are lucky enough to be booking early, you may have the option to stay in any room you please. If this is the case, you will want to consider each room to decide which one best suits your needs and lifestyle. Slot Canyons Inn has nine different lodging options available. Below, you will find descriptions of some of their luxurious rooms, but be sure to contact the inn so that you do not miss any rooms they have to offer. With a large range of options, choosing the perfect room for yourself isn’t a decision to be taken lightly. No matter which room you choose, you are guaranteed to be impressed by the warmth, cleanliness, and unique experience each room at Slot Canyons Inn provides. Each room includes your daily breakfast, linens, and towels, as well as housekeeping. The friendly staff and inviting atmosphere will make your stay unforgettable, whichever room you choose. This is a fantastic room that comes at a great price. The Calf Creek Falls room has a comfortable king bed, perfect for getting a good rest after a long day. If you need some extra relaxation, there is also a luxurious jetted tub in the room. This room has indoor and outdoor entrances and is also handicap accessible. 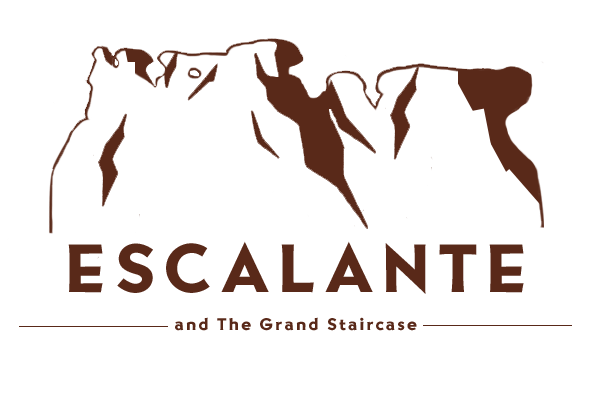 It’s the perfect place to stay, for one or two guests, in Escalante. With its incredible view of the Escalante River, through the huge, clear windows, this two-room suite brings the outside in. This suite can sleep up to six guests comfortably, so it’s great for larger groups or families. It boasts a jetted tub and shower to help relax and wash the day away. Spend some time on the deck and enjoy the fresh air. This room is everything you could want in a lodging experience. This queen bedroom is the fantastic place for a single or couple’s getaway. The room is wonderfully spacious, but also cozy. You will have your own outdoor space to relax. Also, you have the enjoyment of a combined jetted tub and shower. The Slickrock room provides an incredible value for the price. If you have never had the good fortune to warm yourself by a kiva fireplace, you must book The Anasazi for your stay in Escalante. This room features a king bed and a double jetted tub. The tub is located right next to the fireplace. Imagine how relaxing that would be! The room includes a sprawling balcony which overlooks the Escalante River and breathtaking Native American archeological sites. This room gives you luxurious creature comforts and rugged outdoor views, all rolled into one. If just one room at this bed and breakfast near Bryce won’t cut it for your visit, the Isaac Riddle Cabin has all the space and luxury you could need. This rustic log cabin is an incredible 1300 square feet. It includes two bedrooms and two and a half baths. The top floor bedroom has a queen bed, a half bath, and lots of space. The second bedroom, on the lower floor, has two queen beds, a futon, and a full bathroom. The Isaac Riddle Cabin has all the amenities of home, like a large kitchen, comfortable living room, and even a washer and dryer. Outside, you can enjoy a wraparound porch and a barbecue. 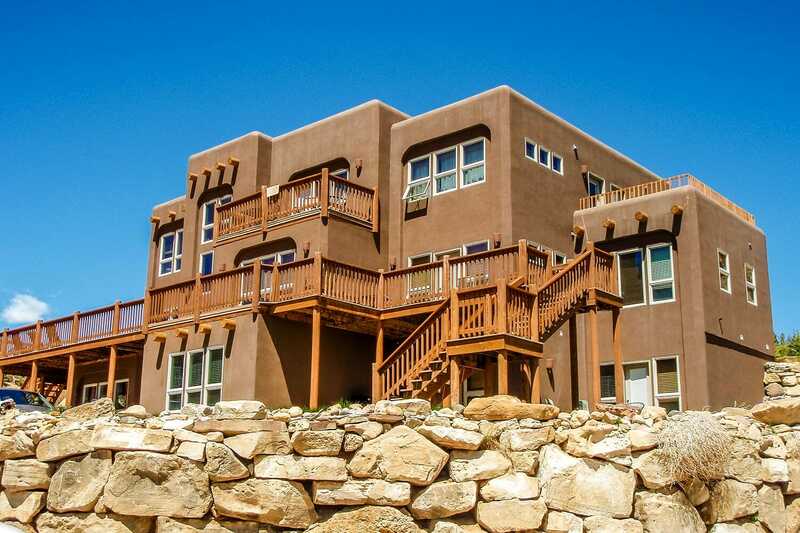 This cabin will serve as a home away from home during your stay in Escalante. Staying at Slot Canyons Inn provides many added bonuses that large hotel chains cannot provide. Below are some of the extra amenities and added perks you will enjoy while staying at Slot Canyons Inn. Friendly and helpful staff… and so much more!